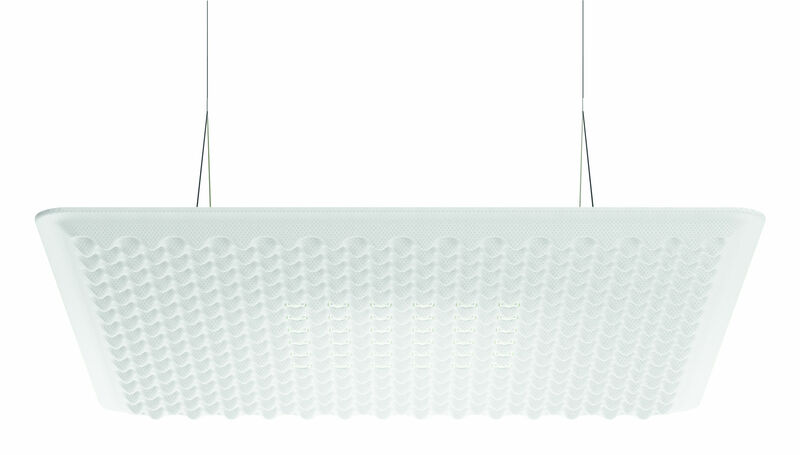 The Eggboard suspension combines incredible acoustic comfort with high performance lighting. 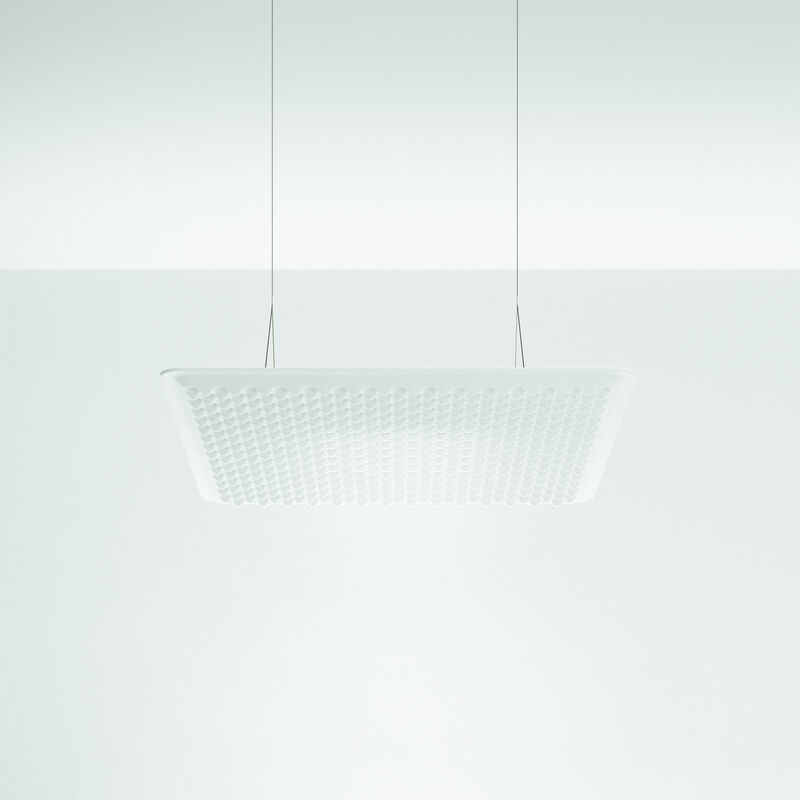 Minimalist and futuristic, this acoustic suspension is characterised by an extra-flat shape. The large panel absorbs sound and reduces reverb. Its careful design means unparalleled efficiency. Ideal in a living room, above a dinner table, this ceiling light is also suited to the challenges of public areas: offices (particularly open spaces), restaurants, bars, meeting/conference rooms, museums, libraries, hotel lobbies... 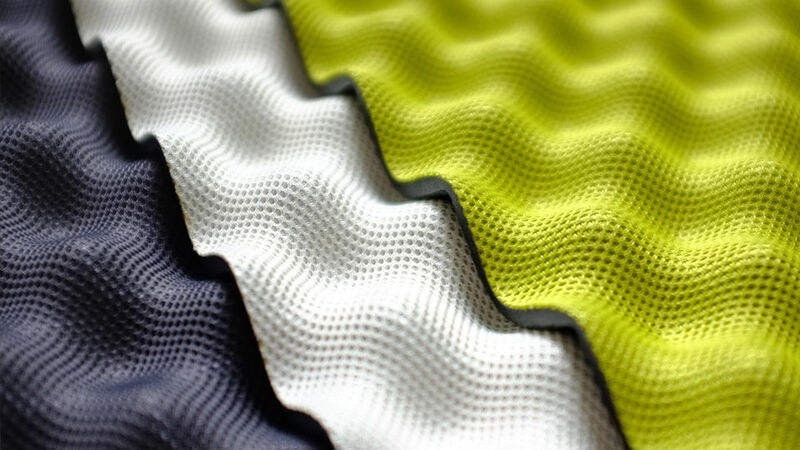 The extra flat PET acoustic panel is coated in sound-absorbant fabric. Acoustic efficiency is improved by the shape of the panel, the inside of which is covered in sinusoid patterns in relief. Like the craters on the moon, these cavities form a graphic pattern. This rugged surface breaks up sound waves: the hollow shapes capture sound, which echo several times and are absorbed. At the centre of the panel, light is cast through multiple symmetrical openings with reflectors. 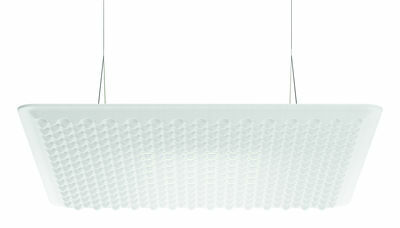 This ceiling light guaranties comfortable and efficient lighting: functional, direct and non blinding. The light complies with regulations concerning display screen use in offices. 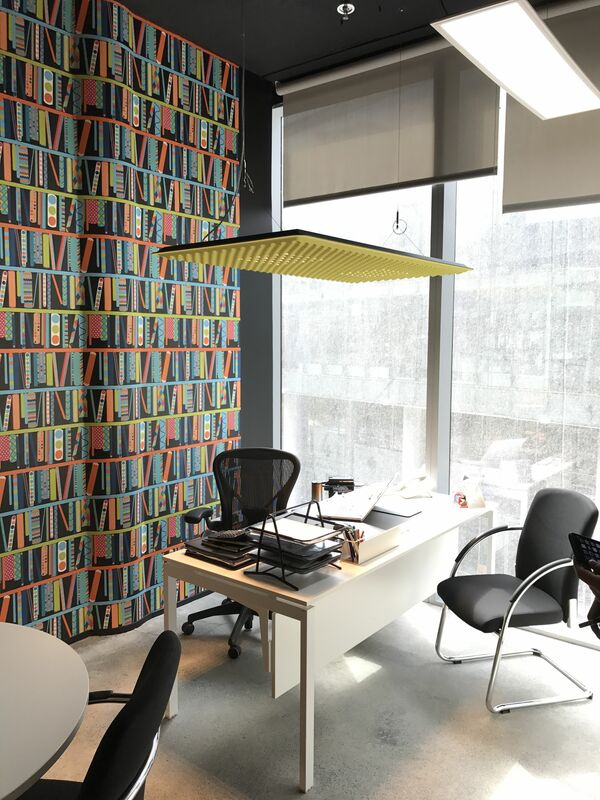 For optimal efficiency, we recommend placing the acoustic panel approximately one meter above the noise source.